An extremely hardy clump form tree, the Amur Maple is known for its brilliant orange to red fall color. It has a low spreading, rounded form and is easy to transplant. 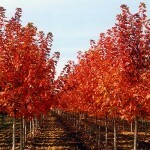 This hybrid combines the brilliant fall color of the Red Maple with the drought tolerance of the Silver Maple. 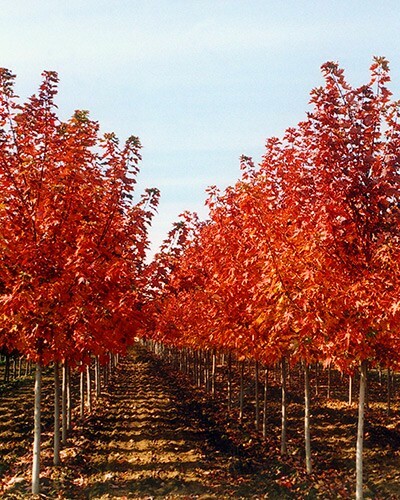 An extremely rapid grower, the Autumn Blaze exhibits a broadly oval shape and spectacular orange-red fall color. 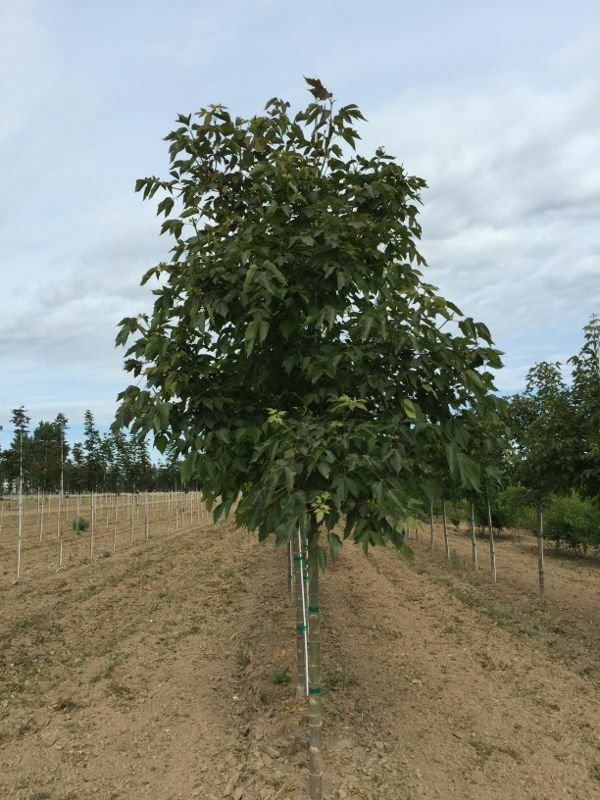 An excellent selection for higher pH soils, Sienna Maple is a vigorous grower with an upright and uniform shape. 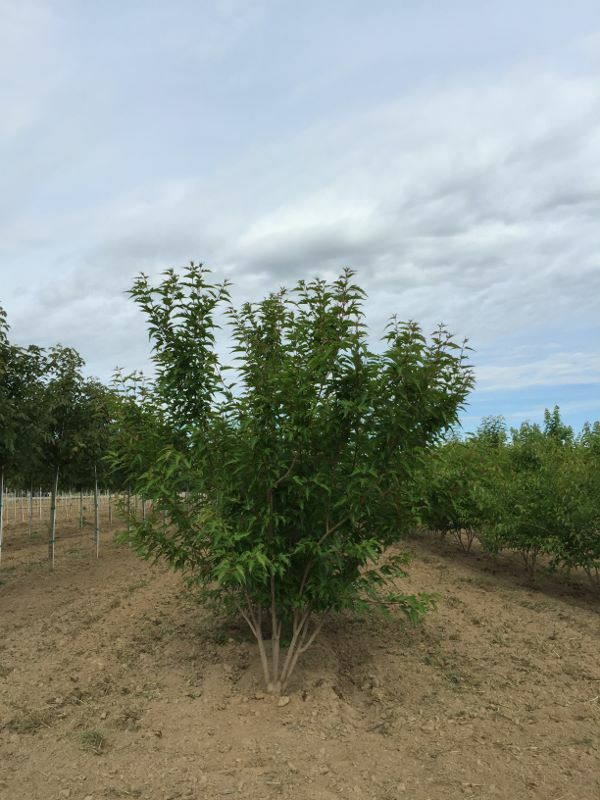 Tough and low maintenance, it is known as an excellent ash substitute for street plantings. 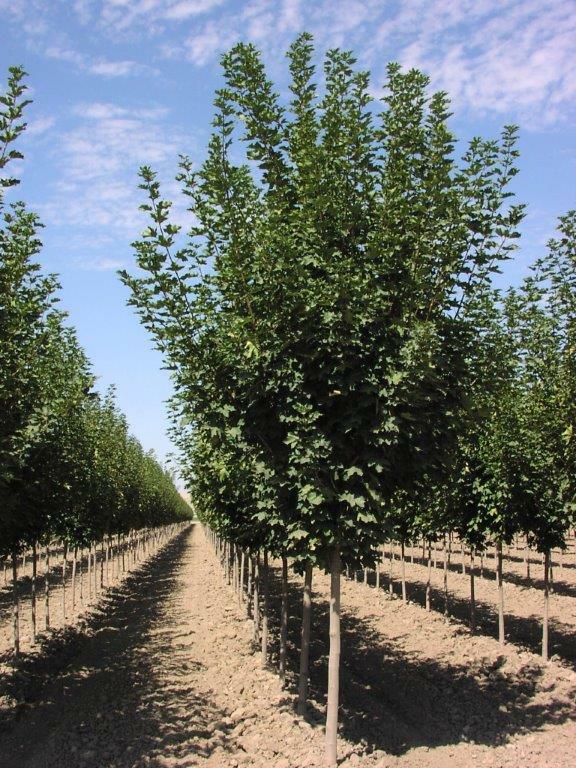 Perfect for street use, this narrow and upright maple supports dense dark green foliage. 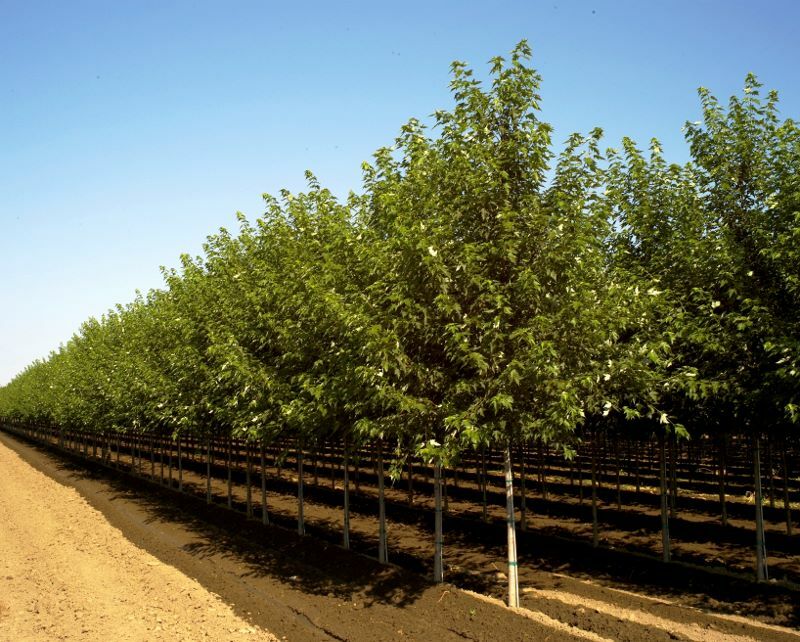 It is generally free of pests and disease, and is resistant to wind damage. 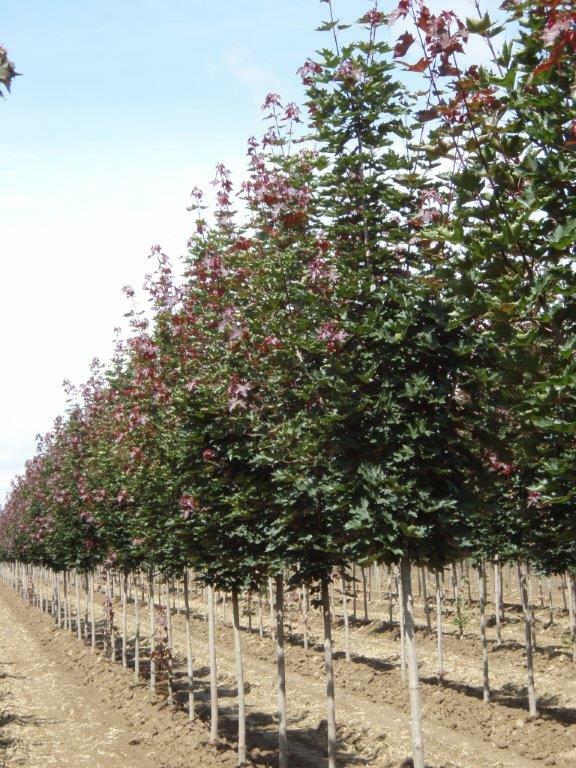 A vigorous grower with a strong central leader, this maple exhibits brilliant red spring foliage that matures to dark bronze-green through summer. An extremely popular Norway Maple, the Emerald Queen is known for its rapid growth, straight trunk, and ascending oval branching. Its dark green foliage turns yellow in the fall. This Norway Maple is a rapid grower with a full crown and ascending branches. 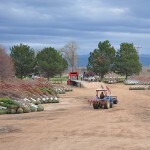 It supports dark red new foliage turning to dark green at maturity. 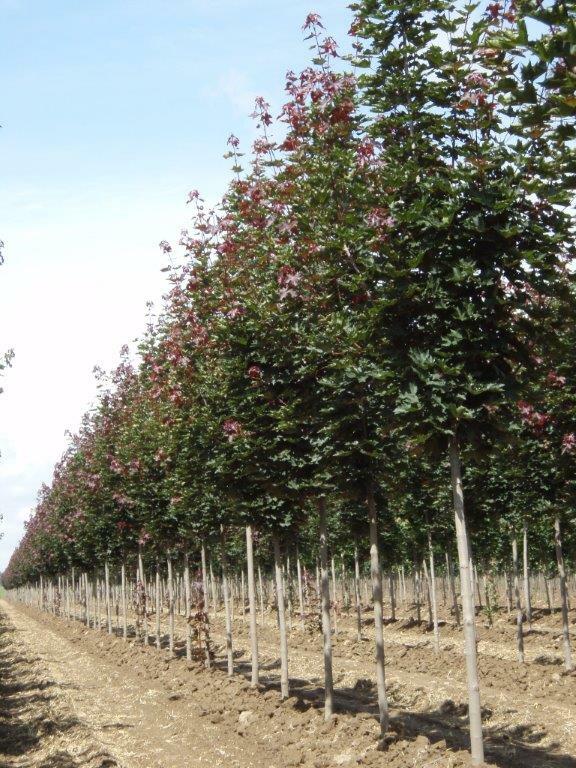 An excellent selection for city use, this Norway Maple is broader in form than the Columnar Norway. Its dark green foliage turns to yellow in the fall. This outstanding Red Maple is well known for brilliant red fall color that is retained longer than other varieties. It has a beautifully shaped oval crown with thick foliage and dense branching making it ideal for street and lawn use. More controlled and with better branching structure than the species, Sensation exhibits fast growth and brilliant red fall color. The original tree was discovered growing near an abandoned Idaho homestead.